The work of women on the home front during World War One cannot be underestimated. One of the ways help was provided was care for returning wounded soldiers. Providing them with a healthy and caring environment to recover was one of the roles of the Red Cross. The first Red Cross convalescent home for returning wounded soldiers in New South Wales was set up in Cronulla and was entirely managed by Cronulla members of the Voluntary Aid Detachment or VAD. Rosa Piper a local resident was the commandant when the home was opened on 20 July 1915. The Voluntary Aid Detachment was part of the Australian Red Cross. Modelled on the British organization, VADs were formed to provide a way for women who were not trained nurses to work as voluntary labour for the Red Cross. The women who served were usually of independent means with an enthusiasm to assist in the war effort. Trained nurses could enlist however the only other way for women to actively participate was to join patriotic organizations which sprang up all over Australia. Duties in convalescent homes for soldiers included cleaning wards, washing and feeding patients, rolling bandages, sorting linen and essentially anything else the matron or other trained staff required of them. Rosa Piper was the daughter of James and Elizabeth Piper from Tamworth. Her home "Calala" was located in Parramatta Street near the corner of Gerrale Street. 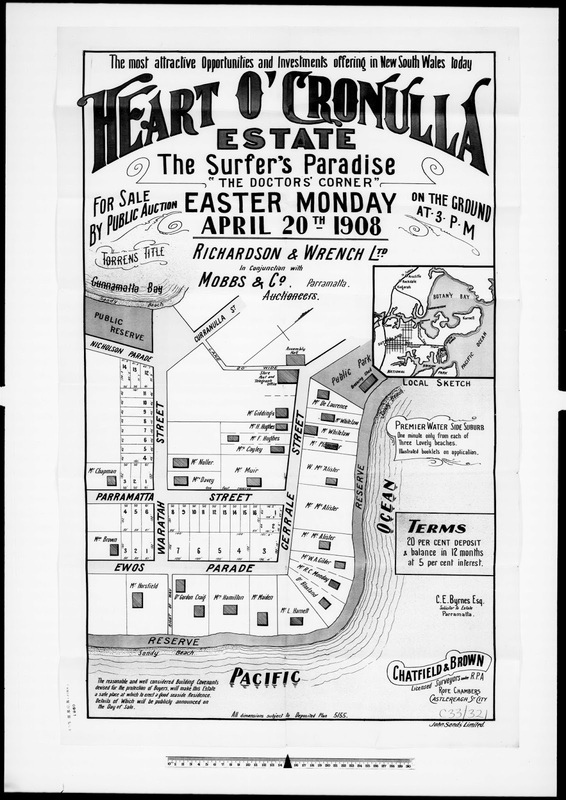 It was part of the "Heart o' Cronulla" Estate made available for sale in 1908. Rosa Piper made her cottage available as a convalescent home due to its location near the sea. It was described as being "beautifully and conveniently situated" and was in "every sense a home". In July 1915 sick and wounded soldiers started returning from active service. Although the cottage was located near the beach not many of the soldiers wanted to go to Cronulla at first. Six boys were sent initially and within a week the word had passed around the base hospital of how pleasant it was and then all were keen to go to Cronulla. The home was only open for a short time closing in December 1916. This was not unusual as most other convalescent homes for soldiers located elsewhere in the state were also closing. By this time the military were better able to provide the accommodation for soldiers. The service provided by VADs however was invaluable and their work was acknowledged and honoured at the end of the war with such public events as their participation in Peace Marches. Rosa Piper's cottage was sold in 1923 to Agnes King and Rosa left the district. Her connection with the Red Cross however continued. In 1920 she was asked to undertake the task of organizing and conducting after care for soldiers and their dependents. The services of the department were for those soldiers who did not receive support from other agencies. Not long after she started in this role it was stated that she had "her organization in working order" and was considering "ways and means of starting an invalids' comforts and children's clothing fund". She was honoured with an MBE in 1935 for her indefatigable work for the Red Cross. At that time Rosa had risen in the ranks to senior commandant for the Voluntary Aid Detachments for all of New South Wales. She spent much of her later years giving talks on the Red Cross to interested groups. According to one newspaper she "impressed her listeners with a quiet and efficient manner so fitted to her task". One gathering stated that their meeting was "only representative of all those Voluntary Aides who will keep Miss Piper in their hearts forever". After moving from Cronulla she lived in Epping for the rest of her days where she died in 1951. She will always be remembered for her contribution to the local area and the war effort.